The following is a guest post by Rosalea Collinge and a continuation of my “Top Ten Tuesdays” series. This week our post is on Tenerife in the Canary Islands. Tenerife, Canary Islands.co is an absolutely beautiful place to visit. Here is a suggestion of ten great things to see and do while there. Firstly, Teide National Park is a must-see. With the third largest volcano in the world, the Mount Teide, and its strange lunar landscape, your eyes are sure to be impressed. Also, if you want to get a spectacular view of the surrounding islands, cable cars run up to the top of the volcano. If you like to be adventurous, you might also like to try Siam Park, a Thai-themed water park. This includes a mini water park for children, plus a huge wave pool with a gold sand beach. This will surely prove to be a fun-filled day for all the family. For something more secluded and quiet, the gorgeous village of Masca, located to the northwest is lovely. Found on the side of the mountains, it retains its character from centuries ago. It can be accessed by a very windy road, which can be either exciting or scary depending on how you like travelling by car. Alternatively you can book a Tenerife Island tour, and have your way mapped out for you. Either way, this is a great place to visit to get away from civilization for a while. Also in the northwest of Tenerife, you will find the cliffs of Los Gigantes. These rise up 1600 feet from the Atlantic ocean and will blow your mind. You can see them by boat, or just view them from the quayside, while enjoying a relaxing drink. In addition to beautiful scenery, Tenerife provides the opportunity to view sea life. Take a boat trip to see pilot whales and bottlenose dolphins in the waters in between Tenerife and La Gomera. Here you can experience these lovely creatures first hand, and for more intimate sightings visit the dolphinarium in AquaPark. Come to Tenerife around February time and you will be able to experience the excitement of carnival. Although this is celebrated all over the island, Santa Cruz de Tenerife is said to hold the most spectacular celebrations. The streets become a hub of activity with stalls, music and ultimately a parade. This is a spectacular event and will definitely provide enough excitement for a great holiday. 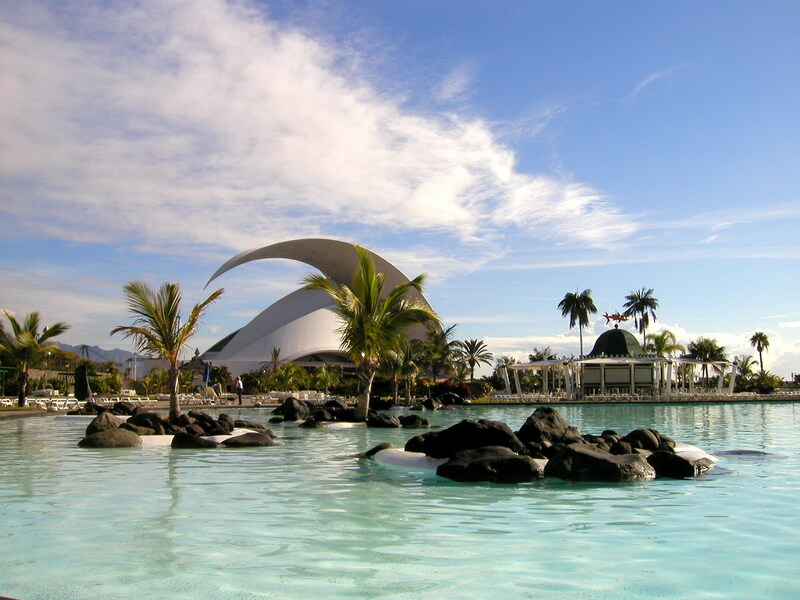 In Puerto de la Cruz, the second largest tourist city on the island, you will also find relaxation. One of the biggest attractions of this area is the Lago Martianez. This is various seawater pools which you can bathe in and simply relax. These were created by Cesar Manrique and are a spectacular place to spend the day. There are a lot of great hotels in Tenerife. Many are found at the beach resorts, which are a great place to party and relax. For example, Palm Beach Club, found on the main beach in Playa de las Americas caters for the all round family holiday. From water-skiing to dolphin trips this place has it all, as do many others. Staying in Puetro de la Cruz, if you have children, a great source of entertainment is Loro Parque. This is a wildlife park, where you can see dolphins, whales, chimpanzees, tigers and even alligators. So spend a day here, full of excitement and new experiences. A more adult activity, however, has to be visiting the wineries of Tenerife. There are many beautiful vineyards where you can get to know the processes by which tasty wines are created. You can usually also enjoy a meal in these places, as well as the doubtless beauty of the setting. So there is a lot to see and do in Tenerife. If you decide to visit, be sure to find out more by visiting My Destination Tenerife, and enjoy your holiday! The content and photos of this post are not the property of BackpackingWorldwide.com but are used with permission. One of the fun things about travel blogging is that you get to be your reader’s personal tour guide/geography teacher/travel inspiration. Your post did all of the above for me since I knew very little about the Canary Islands….thanks, Matt! Glad the post could help! The first photo is the one I like best. Very striking! I definitely need to go to Tenerife. I’m really interested in visiting Teide National Park and doing all the watersports.